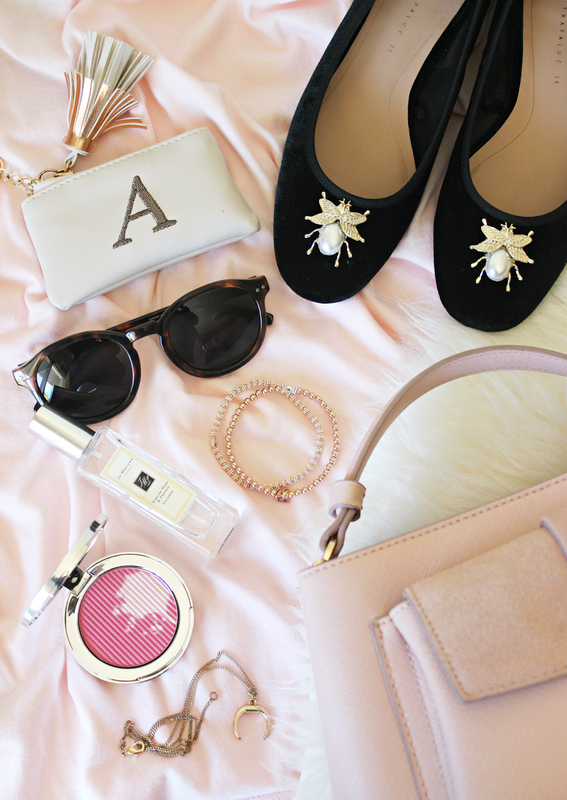 A pop of pink blush. The Estee Edit blush in Purr Pink has been on my cheeks nearly every day this month – it’s such a beautiful, light wash of pink with a hint of sheen. What makes it such a favourite is definitely how healthy it makes my skin look, and how much life it brings on days when I’m feeling a little less glow. I’ve also been all about the metallics this month, with little jewellery or accessory additions here and there. My favourite is definitely gold, with my horn necklace from H&M and Annie Haak bracelets* being on me at all times! I’ve even added a little metallic on my shoes, with these totally gorgeous ballerina flats from Zara. I think my favourite ever summer-to-autumn fragrance has to be the Jo Malone Cologne in English Pear & Freesia. I love wearing this when the weather is as crisp as the scent – it’s one of the most invigorating fragrances I’ve ever used. Definitely an investment – but I’d even go as far to say that it’s my favourite from the entire Jo Malone range. A touch of blush suede. You might have seen my new Zara bag on Instagram recently, and I’m totally smitten. 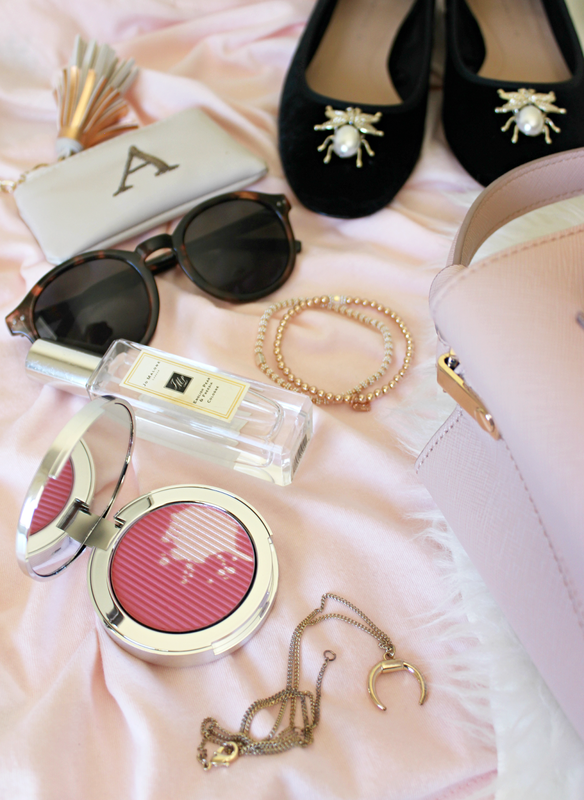 Blush pink has been around for a while, and I’ve been looking for the perfect pink bag – this one is definitely it! It has a little suede detail and the rest is grainy leather which makes it very durable – especially with the road trip across Canada. The bag is spacious enough to hold all my essentials but not too big that I carry too much. I also love how structured it is, it will keep it’s shape forever. A good pair of sunnies have taken up permanent residence in my new bag this month, because despite the breeze, it’s still been bright. I love the tortoiseshell frames these days – they feel lighter than the traditional black and more feminine too. My favourites are these from Cheap Monday – they’re quirky and fun, but they go with everything too! They’re out of stock now, but these are some similar ones that I’ve found. Previous Post How I Edit My Blog Photography.